The 2018 lineup for summer blockbusters has film fans salivating, especially for aficionados of action and sci-fi. Reboots of Tomb Raider and Robin Hood come out in the spring, along with Steven Spielberg's take on the novel Ready Player One. Those will be followed by the mandatory installment from the Avengers universe -Avengers: Infinity War; another Star Wars offering - Star Wars: Han Solo; and three new X-Men chapters with X-Men: The New Mutants, Deadpool 2, and Ant-Man and the Wasp. One of the other eagerly-awaited big franchise sequels to keep an eye out for is Jurassic World: Fallen Kingdom, which continues from 2015's reboot, Jurassic World. The aforementioned Spielberg was the first to bring Michael Crichton's novel to the big screen in 1993. This was followed by The Lost World: Jurassic Park in and the third of the trilogy, Jurassic Park III (1997). The series captured the imaginations of audiences of all ages and became a merchandising juggernaut. From clothing and lunch boxes to a host of video games, the Jurassic franchise was a universally recognized brand; and it continues to be today. A newer video game is being created by Frontier Developments, producers of Elite: Dangerous, to be released in conjunction with the movie’s premiere. The game allows users to create their own dinosaurs and develop a unique Jurassic World on Isla Nubar. Not surprisingly, the dinosaur chain has become popular with online gamers who enjoy Jurassic-themed casino games play these video slots at bitcasino.io. 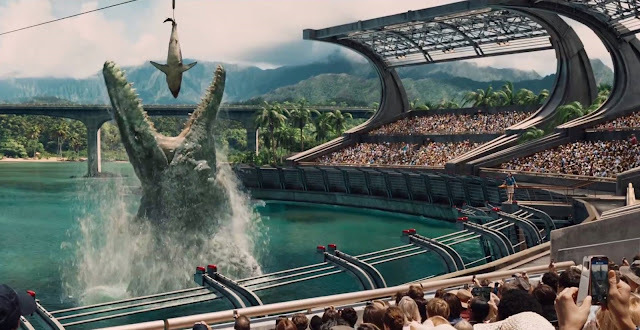 The site offers three different version of the Jurassic World experience. 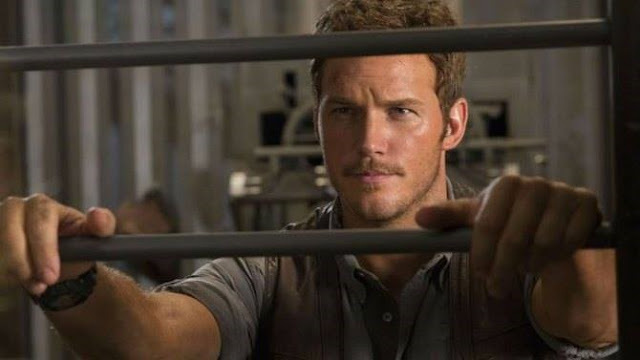 Chris Pratt, currently one of Hollywood’s hottest action heroes and bankable stars, will return as dinosaur-trainer extraordinaire, Owen Grady, while Bryce Dallas Howard also returns Jurassic World resort’s manager, Claire Dearing. One of the most talked about casting moves is the callback of Jeff Goldblum, as chaos theorist Ian Malcolm, who starred in the first two chapters of Jurassic Park. Goldblum, you might remember, was recently seen in Pratt’s other franchise sequel, Guardians of the Galaxy Vol 2. Also returning is B.D. Wong while extraordinary character actors James Cromwell, Ted Levine and Toby Keith will be joining the cast. With the Jurassic World writing tandem of Kevin Connolly and Colin Trevorrow writing the script and acclaimed Spanish director J.A. Bayona (The Orphanage, The Impossible) in the chair, everything indicates another critical and commercial success. The film’s status is currently in post-production and the first of what will likely be many tantalizing trailers was recently given to audiences. From comments made by Bayona and producer Frank Marshall, the storyline appears to revolve around a volcanic eruption on Isla Nublar, still home to Jurassic World, prompting the staff to attempt to relocate the dinosaurs off-island. Obviously, there is an ethical dilemma surrounding the risk/reward of such an endeavour and, should it succeed, the story has numerous potential directions to follow with the implications of dinosaurs on the mainland. We had a taste in The Lost World: Jurassic Park of a dinosaur in an urban setting as a T-Rex brought some serious destruction to downtown San Diego. With a bigger budget and state of the art CGI, such a nightmare scenario could surely be outdone by next year’s film.